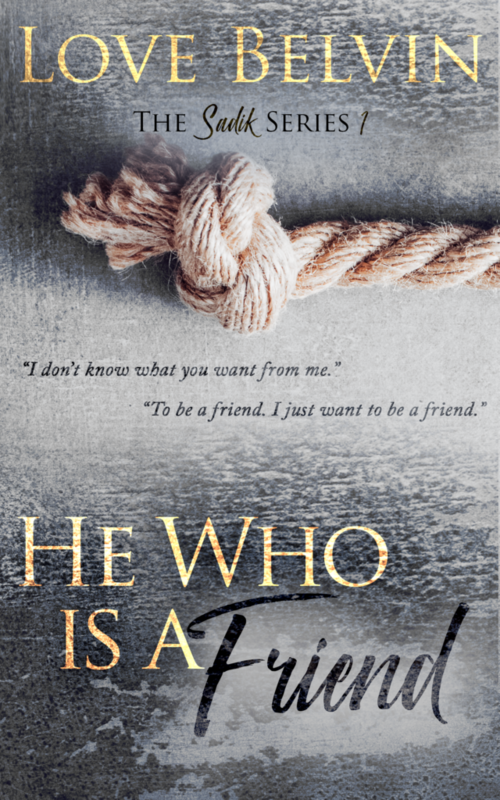 Publisher’s Note: He Who Is a Friend is book ONE of a THREE book series. It ends on a suspenseful CLIFFHANGER. This book contains angst, violence, profanity, sexual explicit content, and gory material. If any of these elements is not what you prefer between the pages of a novel, this is not the venture for you. When is part two becoming available? I’ve read this book a year ago or at least an excerpt. So once again when are the other books going to be released. Thanks for reaching out. I’m working on the second installment of the “Sadik” series now. It’s slated to be published this winter (by March). Are you referring to “He Who Is a Friend?” That title was release about six weeks ago. The excerpt was release a week or so before then, certainly not a year ago. All of my previous series are complete. Please let me know if I’m missing something. Thanks soooo much! Finishing up on them now! Hi Love, I’m in love with your writing. I have a request, do you think you add a picture of who you think the men and women of writing would look like. Start with Azmir, and Rayna. My favorite couple. I absolutely love how your writings are faith based. Anxiously waiting for part 2 of Sadik Ellis and his lady love’s story. I check on every week on amazon or your website. Waiting with bated breath.